The last half of 2009 was like most ‘normal’ first halves of the year: busy. It was quite bizarre. But the snow put everything on hold for the country-house market: we estimate that viewings were down about 40% during those 10 days. However, we were still tying up some deals at the beginning of the year, and you knew you had a serious buyer on your hands if they struggled through the conditions to see a house-some of ours did just that. As soon as it began to thaw, viewings shot straight up. It’s a completely different world to January 2009-there’s much more confidence in the market. Both buyers and vendors have the determination that they’ve got to get on and get the thing done. There’s still a shortage of decent houses, but the signs for the market so far are very encouraging. There’s definitely more optimism in the country-house market this January, mainly coming off the back of an altogether better market in London. What’s more, there’s confidence among the vendors that properties will sell this year. Downsizers are also back. These are an essential element to moving our market, but they’ve been largely absent in the past 18 months, as they’ve been understandably unwilling to enter the market while prices were softening. We think we’ll still have a relatively quiet spring compared to the ‘olden days’ (2008 and before), but there’ll be more volume than we saw last year. Despite the snow, we’ve already exchanged on three good deals and the same again are in the pipeline. The reaction to the weather baffled some of our foreign clients: one asked me the other day whether the British had heard of the concept of winter tyres? I love January, particularly this one. We made a conscious decision in October last year that, with the election looming, we’d bring spring forward to January. With that mantra, we spoke to a number of clients to encourage them to launch early in the year. For the £800,000 to £1.5 million country house, that’s worked very well. Some of those above £2.5 million are more jittery and waiting to launch publicly in March. But there’s a lot happening now, and it’s definitely a case of the early bird catching the worm. For the Oxford office, 2010 started on January 19, really. We couldn’t get out before. However, what’s interesting is that we’ve registered at least 20%-30% more top-end buyers than we ordinarily would in January. Clearly, people who didn’t see anything last year have emerged out of the woodwork. But there’s now a bottleneck of applicants and stock remains acutely short. Despite the weather and the unusual time of year, we launched Cuttlebrook House (£1.695 million, 01865 311522) on the outskirts of Wantage last week. 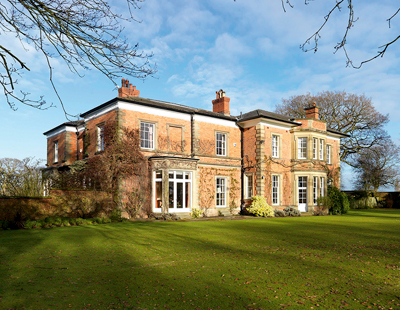 It’s a house of two halves-one Georgian, the other earlier-and it has seven bedrooms, a two-bedroom annexe and a converted coach house. We met with the vendors before Christmas and, although the garden won’t look its best until May, we decided, with the election looming and pent-up demand, to bring it to the market earlier. January last year was a worrying time for sellers. But fast-forward 12 months, and it’s very different. We’re busy looking at lots of houses and talking to people who sat on the fence last year, but now need to get on with their lives. One of our offices had 22 viewings over one weekend during the snow: 18 cancelled. So we’re a couple of weeks behind, but in London, they’re firing on all cylinders, with plenty of people selling up to move to the country. Vendors should get on and come to the market-from where I stand, it’s absolutely fine.